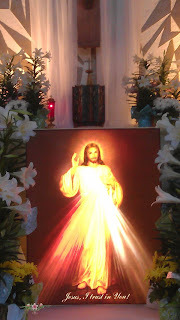 Happy Feast of Divine Mercy! My friend Father Frederick Swai shared this video with me. Polycarp Cardinal Pengo, of the Diocese of Dar es Salaam, Tanzania, spoke at this conference and one of the things he discussed was the recent election of Pope Francis. Father Swai is also interviewed in this video. He is a Salesian priest and director of Youth. He spoke of the young people's faith. Over 700 young men and women attended this conference! It is heartwarming to catch a glimpse into the thriving Catholic church in Africa!